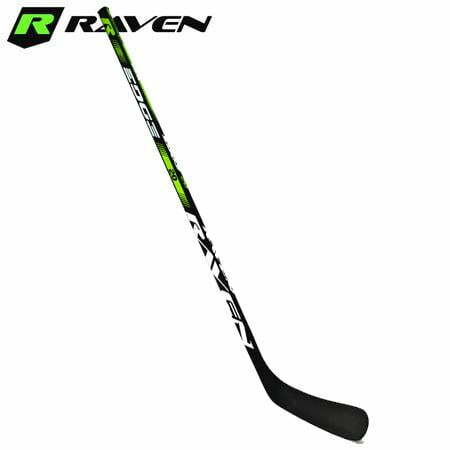 Raven Edge Youth/Junior Hockey Stick (2018) | Sports Etc. 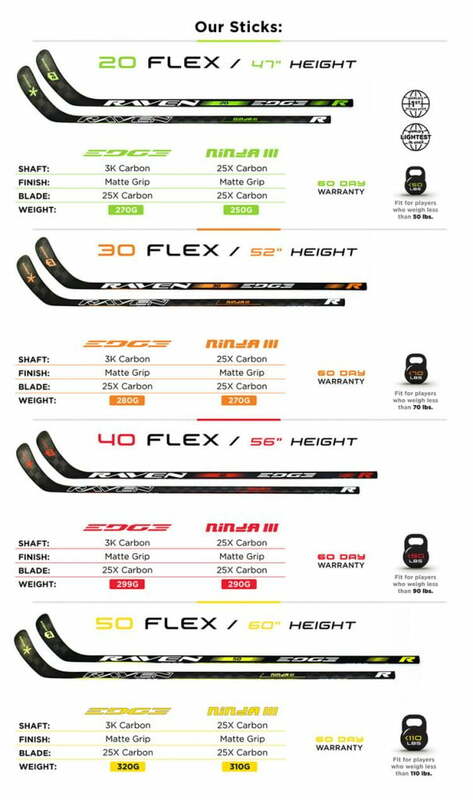 Raven Sticks, the first hockey sticks designed specifically for young players (under 100 lbs), are built on a simple philosophy- All Hockey Players should be using a stick with a Flex Rating that equals less than 50% of your their body weight! With this in mind they developed a simplified, color coded line of sticks that will give your young player the proper flex from the onset. As your player grows you simply move up to the next flex. Choosing the proper flex will allow your player to learn to shoot properly & LET IT FLY! Sports Etc Performance To Value Rating- 9 out of 10- Finely tuned sticks to give your developing player every advantage possible.